Oxiracetam (ISF 2522) is a nootropic drug of the racetam family and very mild stimulant. Several studies suggest that the substance is safe even when high doses are consumed for a long period of time. However, the mechanism of action of the racetam drug family is still a matter of research. Oxiracetam is not approved by Food and Drug Administration for any medical use in the United States. ^ Malykh, A. G.; Sadaie, M. R. (2010). "Piracetam and Piracetam-Like Drugs". Drugs 70 (3): 287–312. ^ Valzelli, L.; Baiguerra, G.; Giraud, O. (1986). "Difference in learning and retention by Albino Swiss mice. Part III. Effect of some brain stimulants". Methods and findings in experimental and clinical pharmacology 8 (6): 337–341. ^ Parnetti, L; Mecocci, P; Petrini, A; Longo, A; Buccolieri, A; Senin, U (1989). "Neuropsychological results of long-term therapy with oxiracetam in patients with dementia of Alzheimer type and multi-infarct dementia in comparison with a control group". Neuropsychobiology 22 (2): 97–100. ^ Itil, T. M.; Menon, G. N.; Songar, A; Itil, K. Z. (1986). "CNS pharmacology and clinical therapeutic effects of oxiracetam". Clinical neuropharmacology. 9 Suppl 3: S70–2. ^ Perucca, E; Parini, J; Albrici, A; Visconti, M; Ferrero, E (1987). "Oxiracetam pharmacokinetics following single and multiple dose administration in the elderly". European journal of drug metabolism and pharmacokinetics 12 (2): 145–8. ^ a b c d e f Gouliaev, A. H.; Senning, A. (1994). "Piracetam and other structurally related nootropics". Brain Research Reviews 19 (2): 180–222. ^ Fordyce DE, Clark VJ, Paylor R, Wehner JM (February 1995). "Enhancement of hippocampally-mediated learning and protein kinase C activity by oxiracetam in learning impaired DBA/2 mice". PubMed. ^ R. Baselt, Disposition of Toxic Drugs and Chemicals in Man, 10th edition, Biomedical Publications, Seal Beach, CA, 2014, p. 1524-1525. Oxiracetam is well absorbed from the gastrointestinal tract with a bioavailability of 56-82%. Peak serum levels are reached within one to three hours after a single 800 mg or 2000 mg oral dose, with the maximal serum concentration reaching between 19-31 µg/ml at these doses. Oxiracetam is mainly cleared renally and approximately 84% is excreted unchanged in the urine. The half-life of oxiracetam in healthy individuals is about 8 hours, whereas it is 10–68 hours in patients with renal impairment. There is some penetration of the blood–brain barrier with brain concentrations reaching 5.3% of those in the blood (measured one hour after a single 2000 mg intravenous dose). Clearance rates range from 9 to 95 ml/min and steady-state concentrations when 800 mg is given twice daily range from 60 µM to 530 µM. The highest brain concentrations of oxiracetam are found in the septum pellucidum, followed by the hippocampus, the cerebral cortex and with the lowest concentrations in the striatum after a 200 mg/kg oral dose given to rats. Oxiracetam may be quantitated in plasma, serum or urine by liquid chromatography with one of several different detection techniques. Research shows oxiracetam improves hippocampally-mediated learning performance by increasing membrane-bound protein kinase C (PKC). When compared to control mice, oxiracetam-treated DBA mice demonstrated a significant increase in spatial learning performance as determined by the Morris water navigation task. This increase in performance was correlated to an increase in membrane-bound PKC. The proven effects of the drug are limited to beneficial effects that lead to higher scores in tests for logical performance, attention, concentration, memory and spatial orientation. These tests were performed on patients with mild to moderate dementia and ADHD, and the doses were 800–2400 mg orally twice a day for one to six months. Improvement has also been seen in patients with exogenic post-concussion syndrome, organic brain syndromes and other dementias. 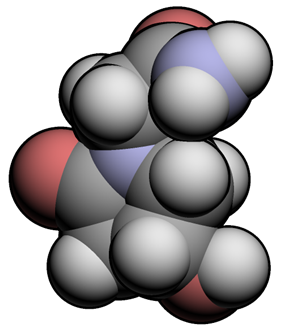 According to V. Gallai et al, oxiracetam is more effective than piracetam for this purpose.